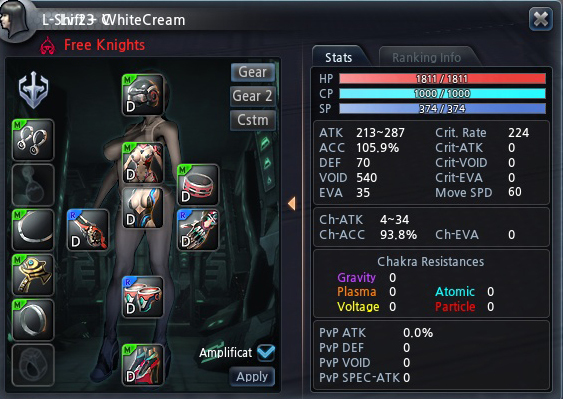 Scarlet Blade is a completely free-to-play sci-fi/fantasy MMORPG. It was developed by LivePlex and is being published in North America by Aeria Games. It features strong PvP elements, a uniquely detailed world, and an engaging, well-crafted story set in a dystopian future. What’s the LvL cap in Open Beta? Will be any wipes once Open Beta ends? How and when I will get my Mech? As you progress through the Main Quest Line, at level 17 you will receive a Quest which will reward you the Mech. How to use my Mech? The Mech is an item into your inventory. You can drag it to your hotbar and then use it. Currently at the Closed Beta there are 2 ways to join the BGs. 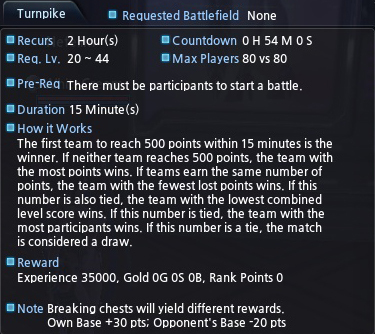 Press T and then apply to BG you wish to join. 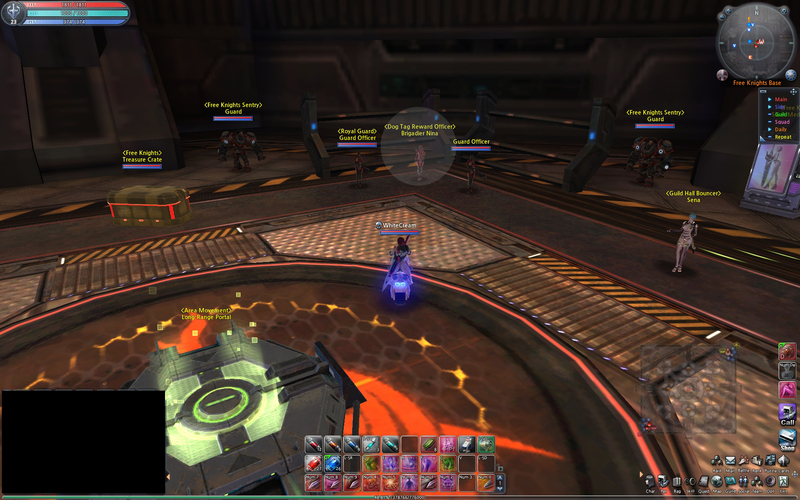 Whenever the BG is available, a pop up notification will appear just above your hotbar. Something similar when you receive new quests. Once you press this notification, the system applies yourself automatic to the specified BG. In Closed Beta it has been noticed that applying to BG through the popup is more effective to join the battle. This is happening because many times the numbers of contestants it’s not equal. So the system takes into BGs the ones who signup faster. 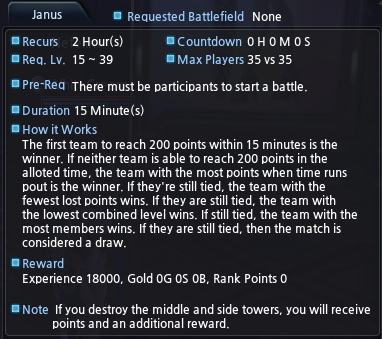 Lets say we would like to join a Janus BG. This BG has a max of 35 players from each side. But in our case we have 20 Royals and 35 Free applying for this BG. Janus will take 20 of each side and also these ones who applied faster. So the 15 Free Knights who didn’t apply fast enough, they won’t join this BG. I can’t find the Dog Tag Reward Officer NPC, where is he? At the moment, the only Dog Tag NPC is located in Ceargate, just behind the portal once you popup. I can’t find more quests to my level, what to do? At the current state of the game, they will be some cases where you will run out of quests. More quests are being unlocked as you level up. So if you hit a wall and don’t have any more quests, simply level up to the next level by doing dailies, dungeons or battlegrounds. As soon as you ding to the next level, more quests will be triggered. Where I can get a datachip for my pet? Currently, there isn’t any available datachip into the game, so don’t worry about it. Why my pet stop to level up once it hit lvl 5 ? For pets, LvL 5 is the cap at the moment. Puzzles are funcy images which once they are revealed completely, they reward skill points and xp. The Certificate System is referring to identify items without stats on them. It’s the same system that applies to Diablo I would say. You need to buy a special item from vendor which cost 1g and then go to a Cerftificate NPC. Then you put your unidentified item and the special item into the box and press confirm.